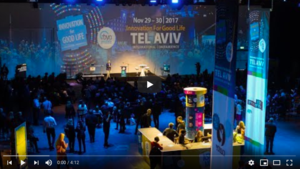 TEL AVIV, Israel, Nov. 15 /CSRwire/ - The third Maala International Con(fair)ence, the main annual arena for the thriving CSR and sustainability community in Israel, will be held on November 28-29 in Tel Aviv’s Hangar 11. This year’s theme is “Business Impact on Inclusive Growth”. The conference serves as a platform for dialogue between the Israeli and Global CSR communities, and will showcase Israeli excellence in social and technological innovation answering acute global challenges as defined by the UN Sustainable Development Goals (SDGs). The conference’s speakers represent some of the world’s largest enterprises, from fields of innovation and sustainability within the Israeli and global business community. And many more speakers from TripAdvisor, Unilever, Bank Hapoalim, SodaStream, Intel, Proctor & Gamble, Strauss, Teva Pharmaceuticals and more. The conference will see the launching of a new Israeli SRI forum, will host the annual Israeli Diversity Award and will announce the beginning of work on a comprehensive project on sharing Israeli practices with the global CSR communities. As in previous years, the conference serves as a platform for dialogue between the Israeli and global CSR community and ESG investors. This year's theme, Business Impact on Inclusive Growth, is an area that has always been at the center of Israeli CSR, and the conference will showcase best practices answering global needs defined by the UN SDGs, such as goal 8: Decent Work and Economic Growth, goal 10: Reduced Inequalities, and goal 11: Sustainable Cities and Communities. Major topics include Value-Based Marketing to Increase Trust, the future of Work, Hot Trends in Food & Health, and more. Many speakers from the global CSR arena will participate in the conference, along with representatives from world leading ESG analysis bodies, and leading foreign investors that integrate ESG considerations into their investments. Complementing this is the Israeli Forum for Sustainable and Impact Investment which will be launched at the conference. Momo Mahadav, CEO of Maala: "We're very encouraged by the interest that the conference draws both locally and internationally, and the dialogue that it enables. This year's focus on Inclusive Economy is an issue that has been high on the Israeli CSR agenda for years, and we hope to be able to share the practices that have developed in Israel." Over the course of two days, attendees will participate in immersive field tours, brainstorming sessions and talks with insights into Israeli strategies on CSR. The first day of the conference will revolve around eight different themes, with talks on diverse subjects such as empowering employees in a changing world of work, engaging communities and customers in the digital era, reducing food waste, and a snapshot of the LGBT community and the labor market in Israel. The second day of the conference, Thursday, November 29th, offers a variety of field tours to sites of social and sustainable innovation around Israel. Participants will connect with local market-leaders in different sectors, providing intimate insights into Israeli businesses' pioneering practices, including visits to Arab and Haredi (Jewish ultra-orthodox) employment centers. This year’s conference is being held in collaboration with the Israeli Ministry of Strategic Affairs and Public Diplomacy alongside some the Israeli market’s biggest names.